Trans Angels, a solidarity group among trans women in Turkey, took action following the death of two trans women in last two weeks. 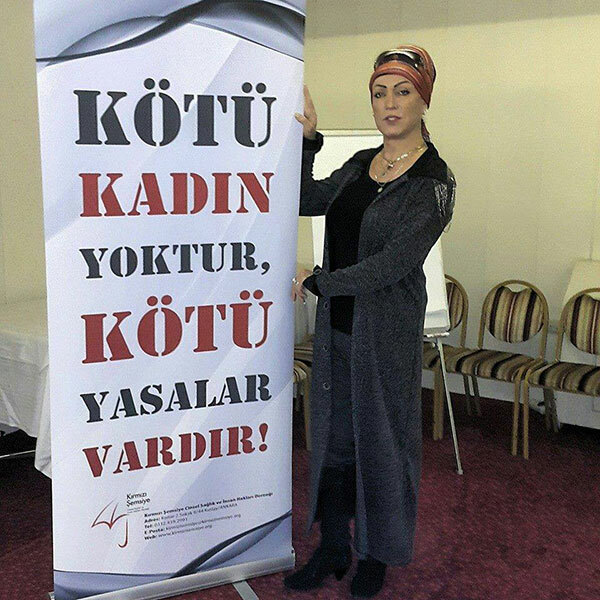 Hande Öncü, who left Turkey for Vienna because of transphobia, was killed in a hate crime on January 19. Another trans woman, Madonna, lost her life due to ill-health in the western city of Izmir on February 5. Öykü Ay, the leading figure of Trans Angels, told kaosGL.org how they claimed the funerals and stood together. Öykü Ay became a well-known figure among trans women after she organized Turkey’s first trans fashion show in November to raise up money for a trans shelter in Istanbul named the Trans Guesthouse, which was founded by Istanbul LGBTI Solidarity Association. Based upon the free health care support provided by the Beşiktaş Municipality to the shelter, she has all the reasons to feel proud of her work. Her Facebook videos, which always start with “Hello friends, my name is Öykü Ay”, is an inspiring example of how social media can be used to mobilize a vulnerable community. Ay, who was awarded the Prize for Fighting Hate Crimes by Ankara-based Pink Life Association during a series of events to mark Trans Day of Remembrance (TDoR) in November, feels bewildered by the differing reactions to the death of their trans child. “Two different cultures, two different funerals, two different worlds…” are the first words that come out of Öykü Ay’s mouth. Having attended two funerals the last two consecutive Fridays, she is full of emotions. Having left Turkey for Vienna due to transphobic pressure, trans woman Hande Öncü was killed in a hate crime. Öncü’s body will be brought back to Turkey thanks to Trans Angels’ extensive efforts. Hande Öncü, a transwoman from Turkey in Vienna, lost her life in a hate crime. Öncü was choked to death by unidentified people who tied her arms and legs behind her back. Her body will be returned to Turkey as a result of extensive efforts. Öncü had applied for asylum in Austria and had been living in Vienna for approximately a year and a half. Öncü had applied for asylum because of the trans discrimination she had experienced in Turkey. Öncü’s trans friends in Turkey were saddened by the hate crime that took her life. 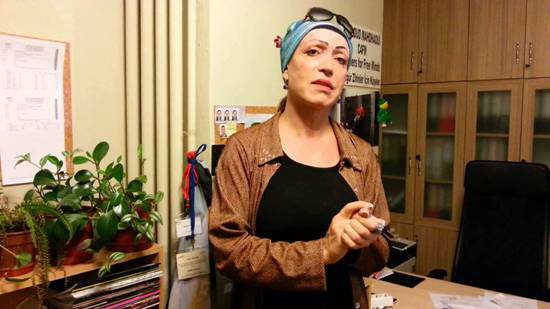 Trans Angels, an association that aims to improve the support network among trans individuals, immediately organized the effort to bring Öncü’s body back to Turkey. Öncü’s body was to be cremated because of her refugee status, but Trans Angels refused cremation and collected the amount of money necessary to bring the body back to Turkey. Öncü’s body will be returned to Turkey wrapped in a rainbow flag. Öncü’s body is being brought back to Izmir. She will be laid to rest shortly with Trans Angels and her friends in attendance. Sometimes I meet people whose life experience, or even sheer existence, is the answer to many complicated questions; it tells all that a 300-page book about politics can’t tell. Öykü Ay is one of those people. One of the most encouraging things I have heard about lately is the opening of a new trans shelter. Yes, a shelter for trans individuals. Think how frequently you read in the news about a trans individual’s beating, murder, or suicide under pressure. And now they have a roof to gather under thanks to Öykü Ay’s organizing in the trans community and the community’s own ability to organize. You are about to read the story of that shelter and that of Öykü Ay, who identifies as a religious person. While reading, please think about the concepts of morality and religiousness imposed upon us by the government. How those concepts are unable to describe real life. And, of course, think about what it means to have the strength to do good despite all the systematic misfortune, bad treatment, and ostracization. Just think. Where and when does your story begin? I’m from the East. I was born in a village of Malatya. To a family with 3.5 daughters and 2.5 sons. Where do the halves come from? From me. That’s how I say how many children there are in the family. It’s a joke. You didn’t get it, but that’s fine. Yeah, I didn’t think that way. Anyway, I studied teaching. I was an intern grade school teacher for about a year in Adıyaman. But I couldn’t handle it for long because I was too feminine. Pressure from family, pressure from society… It’s hard to be LGBTI in the East; it’s very painful. I ran away from there.